Several weeks ago I had the notion to go back and read the "first part" of this blog. I guess I wanted to go back and see what it was that I learned through my breast cancer journey. It took all this time for me to go back and read about my experiences. I just wasn't ready to relive the experience. I regret that I did not write more than a year. I didn't write about what it was like in the aftermath of the awful treatments and how difficult the three subsequent surgeries were that would end up in my future. Hm. Maybe someday. While I was reading the entries, along with the comments, I was reminded of a certain woman who followed my blog. We did not know each other. 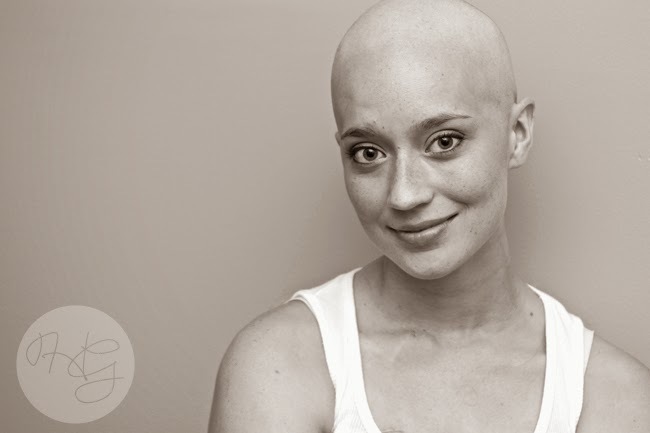 She had been recently diagnosed with Stage 3C ovarian cancer and kept an inspirational blog of her own. 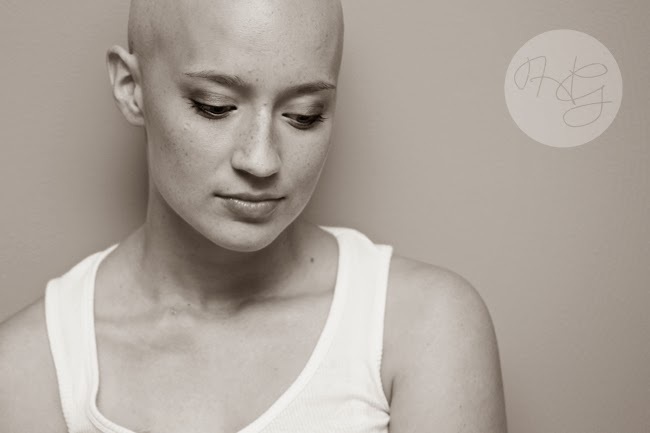 She searched other blogs by women going through their cancer trials, and found me. She would leave uplifting comments from time to time. I would go read her blog too. She used the name Whitestone as her blogger identity, but her name was Judy. And she was from a tiny town in Iowa. She had been a Sunday School teacher at her church and taught bible classes at the women's prison for many, many years. Her blog entries were often insights she received with her daily New Testament scripture study. She always amazed me. So, having forgotten about Judy (after I had virtually abandoned my blog) I went to her blog to see how she was doing. I burst into tears as I read the final entry, written by her husband, along with her obituary. 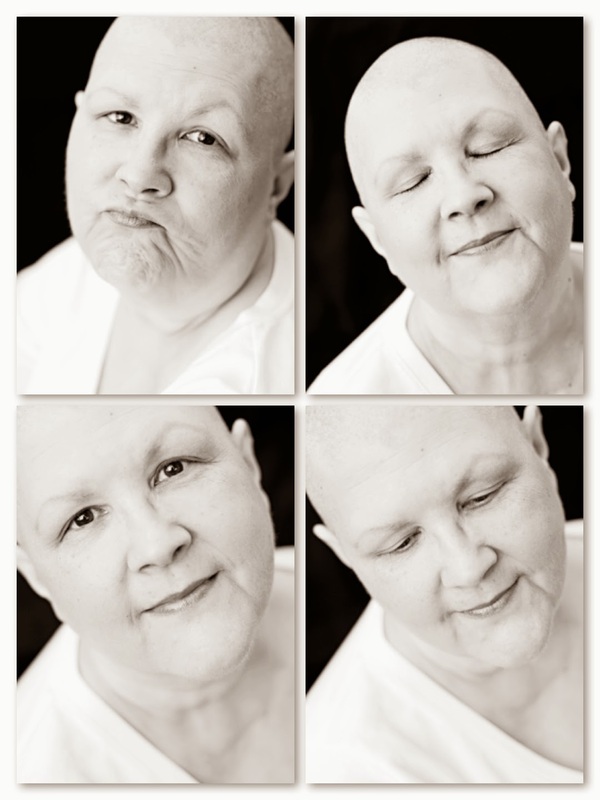 Just this past June, Judy passed away from her 4 year fight with ovarian cancer. I took it really hard. I couldn't think about anything else for several days. At first I was sad for her family. Then, I was sad for ME. It became personal. Because, I was diagnosed with the same Stage of Ovarian Cancer that she had, and she didn't even get the full 20% chance of 5 years. This the same as they have given me, and best they can offer, at this time. Over the next week, I went back and read many of her entries, ones that I missed because as my breast cancer episode was resolving, I forgot to go back and check on this dear person who never knew how much she meant to me. In my readings of her words, I found incredible comfort and peace. There were a couple entries that I feel inclined to share on this blog, so that they will never be forgotten. Judy recognized truth when she saw it. I'm grateful that she wrote her insights down for the benefit of the rest of us who would read. I'm going to share two of those entries in this post. How many times have we heard people question how a loving God could allow painful trials to happen to good people? For that matter ANY of his children? For those who are filled with faith in a loving God whose plan for us is always better than OUR plan for us, we find comfort because we know that this mortal life doesn't represent the culmination of our existence. In fact, I would dare say, we are really early in our existence, since what is in front of us is, well, all eternity! But, while Judy was reading her scriptures one morning, she was struck by a meaningful passage because of what she had been going through in her life. "Blessed be the God and Father of our Lord Jesus Christ, the Father of mercies and God of all comfort, who comforts us in all our affliction so that we will be able to comfort those who are in any affliction with the comfort with which we ourselves are comforted by God." I think it is a true statement to say that those who have gone through suffering (of whatever kind) are able to be compassionate in a way that others might not be able. Life is full of unexpected twists and turns and each individual life will experience its own trauma and trouble. I believe that those who have suffered and have experienced the grace of GOD during their time of suffering are able to extend compassion and prayer towards others in a way that had been enhanced by their own experience. Their own passage through pain gives them an empathy for those in similar pain. If that be so, then I welcome the suffering for it is a blessing of God to me. On the one hand He comforts me and on the other hand He teaches me to be of comfort to others in a way that I did not do before. And I pray that through all of this my heart will become more compassionate towards others." When I read her words, I knew that I had been given opportunity to learn these truths back in 1994. In addition to my 8 births, I also experienced 3 miscarriages. Two were very, very early term and I was able to cope fairly well. But, one of these miscarriages happened when I was days from the end of my first trimester. This pregnancy was a year and a half after Daniel (number 7) was born. We were all optimistic that we would add another girl to our family. It was a Thursday that I started spotting and cramping. There was also a terrible ice storm beginning to bombard the Raleigh area. I called my OB and was told that if it was indeed a miscarriage that at this point, there was really nothing I could do to stop it. They were sending everyone home and would be closed on Friday. They made an appointment for me on Monday - Valentines Day. I had to go the whole weekend, in significant pain, anticipating my appointment first thing on Monday. I saw Dr. Toskey that day, my first time meeting him. He got out the Ultrasound and looked and listened. "I'm so sorry, Mrs. Plautz, there is no heartbeat." We were stunned. At the completion of the miscarriage I saw that it was a girl. I knew that I had seven healthy children, and yet, that knowledge did not for one moment erase the pain of the loss of this child. I had already started thinking of the baby as Alexis…like I said we were optimistic. That night at our Family Home Evening, we told the children. I remember 11 year old Christian having the most difficult time. He just could not understand. I had several good friends that were having a very difficult time conceiving and/or maintaining pregnancies. How could I even expect to compare my experience to what they were going through? I mean, I have already had many children. Of course, time went on, my body and my heart healed and I added this to my list of trials and adversities that help me turn to the Lord and strengthen my faith. Then, within a year or so, a good friend, who I met at BYU when we were in a musical together, moved into the Cary 2nd ward. Friendship renewed, and with 3 year old boys the same age, we spent wonderful time together. One day she called me. Her husband was either out of town or could not leave work, but she called me because she was experiencing the same symptoms of a miscarriage that I did back in 1994. But, she didn't know that. I was able to talk to her and understand what to say in a way I don't think I could have before. She was about the same number of weeks along as I had been. I knew what she was feeling. She also had several other children, and yet, I knew exactly what she was going through. I remember thinking to myself and saying to Heavenly Father, "If the only reason that I went through the experience of that miscarriage was so that I could feel empathy for my dear friend, Susan, then I am OK with that." We know that it is our ultimate goal as Christian's to become like our Savior. "Come, Follow Me" he entreats us. Be LIKE me! We know that because Jesus Christ suffered ALL things for us, while he fulfilled the miraculous task of atonement - not only for our sins, but for our afflictions, our sorrows and grief - that He does indeed have pure empathy for each of us, regardless of our trial or affliction. That is why He is the source of living and healing waters. But what of us? Each of us can't possibly endure every sorrow, grief or affliction possible. How then can we develop this empathy for which we must have to become like Him? Many of us have compassion, but that is NOT the same as empathy. While having a wonderful conversation (about this entry that Judy wrote) with one of the sweetest and most wonderful young women I have the pleasure of knowing, the spirit put into my mind this thought. We might have experiences in our lives that so parallel another's experiences that we really can understand and share their experiences and emotions, but….BUT, when we don't, we can still feel pure empathy, THROUGH THE ATONEMENT OF CHRIST! Although our ability to feel compassion can be powerful, we can be empowered through Christ, to fill in the gaps we have, so that we can always have the ability to have empathy for everyone. Mere Compassion ends and pure Empathy begins. So the next time you go through something difficult and you cannot find meaning or purpose in it, just know that someday it will. No suffering that we have here in mortality will be wasted. Not one minute of it. I know this to be true. And when you are filled with compassion, but feel the desire to go deeper, go to the Lord and ask Him to fill your gaps with His experiences. You will go to deeper spiritual places than you ever have been. A word (by Judy) on not wasting our trials! I'm going to close out this entry by sharing the other post by Judy that really left a great impact upon my spirit. Can I just say that I wish that I had actually known this woman and spend time with her? That will come….later. And while the words here talk specifically about the adversity that a cancer diagnosis brings, it is not difficult to apply this counsel to any of life's trials and tribulations. "A couple weeks ago I read a message by John Piper written when he had prostrate cancer in early 2006. The message, entitled "Don't Waste Your Cancer" contains ten points that he makes in regards to cancer in our lives, and how we, as Christian's, should not "waste" the circumstances of it. 'You will waste your cancer if you think that "beating" cancer means staying alive rather than cherishing Christ. Your eyes have seen my unformed substance; And in Your book were all written. The days that were ordained for me, When as yet there was not one of them.' "
Judy continues, "God is sovereign and awesomely more than we imagine in our wildest dreams. Our lives are like "little stories" that are part of God's "Big Story". From our personal viewpoint we tend to think that it is "our" lives that are "big". And they are! But when considering our minuscule lives in context with the Eternal Almighty Creator God, we must admit that we are just a bit of fluff in terms of time, space and eternity. And when we begin to realize that….that we are the created and that HE is our Creator, the one who works in all aspects of our lives, the one who saves us from ourselves, the one who rescues us from the dominion of darkness (Colossians 1:13), when we begin to realize the awesomeness of that, then we are compelled to bow down in humble and grateful thanks. No matter what." Powerful! Such a powerful testimony. She got it. And I know that when she left this world to meet her Creator, He knew that she got it! And now, I am learning to get it. I thought I had come really far until I read her words. I still have a long way to go. But, it's a journey I am absolutely willing to take. Wanna Walk Along? Things your grandmother should have told you. A month ago, I had my last chemotherapy treatment. Honestly, it felt like the slowest month in many months. Over the weeks, the nausea has diminished to almost never. Yeah! The fatigue is still an issue, and will be for several months as my body detoxes from all the chemo chemicals. Adding to the fatigue is the matter of not having good sleep. The medications for the nausea helped me to sleep as well as the addition of the Neurontin for the neuropathy. But, I don't need the anti-emitics anymore, and the Neurontin was not doing what we had hoped it would. So, now my body is also detoxing off those medicines and I am left to my own efforts to sleep at night. I am using a combination of essential oils and a Melatonin plus other herbal additives to help in this transition time. I am falling asleep better, but I have interrupted sleep all through the night. Part of that is because I am having vivid dreams, and often BAD dreams. Not really nightmares, but I am having really stressful dreams. Another crummy thing I am dealing with is the return of the cursed Fibromyalgia. And it is back with a vengeance. There are two reasons why I believe this is so. The first is that I have found in the 21 years since my diagnosis that the pain is always worse when I am going through stressful situations. Sometimes my body is stressed, sometimes it is emotional stress. These last months were BOTH! The second reason is that I have been on a steady dose of steroids for almost 6 months and steroids, for all the terrible side effects also have a beneficial one - they reduce inflammation. So, I guess I should count my blessings that I was spared that pain during chemotherapy. The pain keeps me from getting comfortable to go to sleep, and wakes me up out of sleep when I move around. The worst pain is in my hips and knees and shoulders. CT Scans are negative for disease! Of course, I know what that really means is that there are no visable evidences of cancer growth. We really can't know if there are still any microscopic cells hanging out in wait. But, it DOES mean that my cancer responded well to the treatment. The hope is - and truly it is the miracle we for which we pray daily - that we don't see the cancer cells begin to grow again. The simple fact is that for someone whose cancer was as advanced as mine, there is a 90% chance that I will have a recurrence within the coming years. I don't live there, but I do know the odds. I just choose to believe that I am one of the 10%!!! About a month ago, I was sitting on my couch (yes, the "new" couch where there is a huge divot from where my behind has sat for the last 6 months) and an idea came into my mind. I fought it for a few hours, until I had the feeling that the idea didn't come from me. It was something that would ordinarily fall in the category of Completely out of my comfort zone. 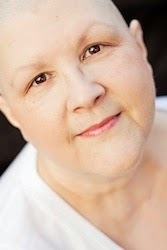 I have just completed six months of chemotherapy for advanced ovarian cancer. 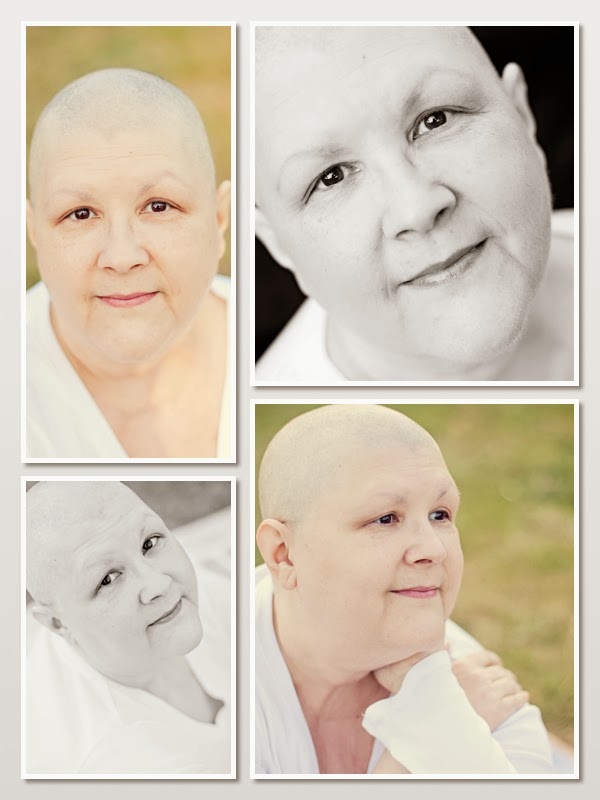 This is my second go around with cancer, I am a four year survivor of Breast cancer. And today, I had this idea, which is very much out of my comfort zone, but something I really 'want to - feel I need to' do. I've lost all my hair, including eyelashes and *eyebrows, but I am trying to embrace my "beauty" in this very natural way. Before my hair starts to grow back, I would love to have you take some creative head and shoulder shots of me. It's more of a statement of acceptance than anything. Since this cancer is likely to recur and I will have to go through treatment again, and lose my hair again, this may indeed be the "new me"! In short, my hope for these photographs is for them to be peaceful and joyful. I am SO open to your ideas as well. At this point, I am game for about anything. As I tried to sleep that night, I couldn't stop thinking about what I had asked for. I was scared. I have never been a fan of being in front of a camera, even when I was young and thin. And certainly, I had never considered having "beauty shots" done. Seriously. Me? Except for Amber Adamson, I told NO ONE about what I had planned to do. I think that I felt if no one else knew I'd feel like if I chickened out, I wouldn't have to account to anyone. Also, I had the ever so slight fear of someone chuckling over the idea. I kept it to myself for so many days. Originally we had scheduled Wednesday, January 22nd. But the temperature was hovering right around 20 degrees that day, which with no hair and no coat would be impossible for me to relax to do this thing that was already so challenging for me. We rescheduled for Monday the 27th, which also happened to be my husband's birthday. We were meeting at a farm in Holly Springs at 4:30 that day, when the light would be best. And, the gift and perhaps even miracle was that it was that one day where it was 64 degrees. It was the day before the 5" of snow came. Anyway, I needed a ride, but I didn't know who to ask, because I was trying to keep it a secret. So, I asked my youngest son, Benjamin, to take me to "meet someone in Holly Springs". He asked what I was doing. I told him I would prefer not to tell him. He asked if he could ask questions. I said "No!". He dropped me off and drove away, unaware. I met Amber and we started the shoot. I told her from the beginning that the only way I was going to be able to get through it was to imagine that I looked like, well, …. the girl in the ABOVE photos! No joke. That's who I saw in my head the entire 45 minutes. Truthfully, Amber made me feel so comfortable, that I was able to let go and just be in the moment. I wanted to embrace the authenticity of the whole experience so that nothing was forced. The sun was moving lower in the sky and our time was coming to an end. Amber had this idea to have me sit in the middle of the road that led into the farm. I sat down, and she started shooting from the distance. Then, I started looking up at the sky and noticed how beautiful it was. I was overwhelmed in the same way that I felt at the beach in September (for those of you who remember me writing about our week at the beach). I felt the power of Heavenly Father's presence in His creation and in my life. And then something happened that I did not expect. I began to weep. And then smile. And then, I started feeling a full range of emotion. As Amber moved in closer, she asked if I was all right. I told her I was fine and to keep going. I stayed in the moment and I felt every emotion that I have felt during the last few months. She got really close and I said "Make me laugh! Laughter through tears is the best emotion!" (Steal Magnolias). But, then my tears returned, but they were joyous tears, perhaps I was feeling relief, until I felt complete peace. I knew then, that I was done. So, here are only some of the amazing shots that Amber took. This is me. Nothing to hide behind. Most with no makeup. At the end I added a little color on my cheeks and lips. Every line in my face and the extra chin are exposed as I really am. But, it doesn't matter. I was actually able to find my own beauty and feel comfortable seeing myself as I really am. The video at the end is a composite of the photographs taken, sequentially, from the time I sat in the road. The song I selected was written for Susan Boyle, who won Britian's Got Talent back in 2009. This is a song they wrote for her to sing in the finale. 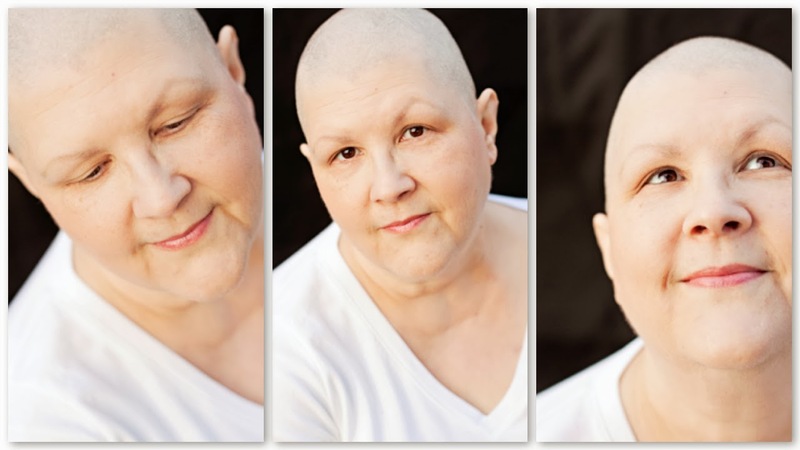 It became really meaningful to me because it came out while I was going through my breast cancer treatments, surgeries, etc. It still makes me cry. I even had the opportunity to perform the song a few years ago. It was a hard one to get through because I feel that it tells my life's story, as well as Ms. Boyle's. When I was sitting in the middle of the road, one of the things that came to my mind was how there was so much road behind me, and very little in front of me. And isn't that how it is for all of us. All we have is our entire life's experiences to help us as we look to each new day or each new challenge. It's the perfect act of faith. We draw on our faith in our Father in Heaven - who we have already seen work in our lives - to give us the confidence to know that no matter what is facing us in the future, we know with assurance that HE WILL be there for us again. I think that one of the lessons that I keep learning through the challenges I have faced in my life, is that you increase your burden by fighting it. I mean, with an eternal perspective we must also remember to look back as well as forward. Our lives, before we got here and after we leave this earth are one eternal round - it's not linear. We each have been given a personalized tutorial to guide our life. Personalized experiences and relationships. Perhaps we need to more gracefully accept the situations with which we find ourselves, especially those that bring the greatest physical and emotional discomfort. We need to allow the Grace from on high change us and rise above the worldly to the Godly. With this sacred process, we can come to accept the fact that we are, everyday of our lives, who we were born to be. *In the weeks waiting for the photo shoot, suddenly my eyebrows started growing back, and a few of my eyelashes. "To face, unafraid, the plans that we've made"
This coming Tuesday, January 7th, will likely be my last treatment of this chemotherapy series. My first treatment was the second week of September – five months of this aggressive and harsh regime. It seems longer. But, isn’t that typical? The things that are hardest for us, the challenges, the trials always feel like they last so much longer and the fun and joyous things seem to pass all too quickly. Physically, I'm so tired and weak. I really can't wait to feel good again. In a short time after my treatment on Tuesday, Dr. Lee will send me for a CT-scan. If nothing looks suspect, I am DONE. But, if anything looks suspicious, I will have 2 more treatments of Carboplatin, for good measure. I honestly do not believe they will find anything to concern them. After having the Taxol removed from my chemo drugs, I really expected that I would feel tons better. I was very surprised to find out it wasn’t so. Not only that, but the progression of the peripheral neuropathy, especially in my hands, has continued to deteriorate. It’s difficult to find the words to describe the pain, and incredible hypersensitivity that I feel every minute of every day. Even typing these words on my keyboard is so very irritating. Dr. Lee prescribed a medication, Neurontin, that she hoped would start reversing the nerve damage. Sadly, it has done nothing except give me additional side effects that are difficult to deal with. I haven’t stopped the medication completely, but reduced the dosage until I meet with her this Tuesday. I have mixed emotions regarding the ending of my treatments. Part of me is saying “Hallelujah! It’s finally over.” But there is another part that lives in a place of “Now what?” It’s the time of waiting and wondering. I am optimistic, but also realistic. I do a lot of self-examining, making sure that I don’t get caught in any negative thoughts. But, surely one can understand that now that the prescribed treatment is ending….there is nothing ‘active’ going on to help keep this cancer from returning. I think that is the hard part. I’ve done all that I can do, and therefore, it really is all according to God’s plan for me. No more talk, now it is DO. I have to DO what I know to be true and truly and wholly give away all my fears and worries to Him who gave me life in the first place. Two Saturdays before Christmas, I started working on two kinds of angel ornaments (a total of 144) that I was making as Christmas gifts for my adult children. I got a late start, as I was waiting for back-ordered materials to be shipped to me. To add to my challenge, I had many unannounced visits from my kids that had me suddenly stop working, sometimes for several hours, while they were here. My dear friend Beth said to me “too bad your kids love you so much!” Funny girl! So, to pass the time while cleaning raw cotton bolls and sewing lace doilies and tying tiny little bows out of ribbon, I turned on Netflix and started watching those hyper-sentimental made for TV Christmas movies produced by Lifetime, Hallmark and ABC Family networks. I only had one rule – they had to have a minimum of three stars. It proved to be a worthy standard. Douglas came down toward the end of the second movie and got sucked in. When that movie was over he wanted me to start another. (We ended up watching a dozen or more movies within a few days) He surprised me. I also got him to help me with the cleaning of the cotton bolls and the cutting of the hulls. He even learned to sew, with needle and thread some of the wired shear ribbon for the wings, since it was becoming increasingly difficult for my fingers to hold a needle. I was overcome with it’s simple yet profound impact upon me, and turned to Doug and said “that’s how I have to live now! How WE have to live” and repeated the phrase from the song. We had a moment together as we processed the life lesson taught to us via a simple Christmas song. Referring back to my previous paragraph describing my feelings now that my treatments are coming to an end: I can’t be afraid to make plans just because there is an element of uncertainty for the rest of my life. I can’t let the probability/possibility of a recurrence keep me from making plans. I’m trying to face the future without fear. In the coming year, I will make plans to fully enjoy my grandchildren. I am going to make trips this year to see my children that do not live nearby. I plan to be at the airport when Daniel returns from his mission. And, to attend my granddaughter’s baptism next December. I plan to sing more often. And when my hands improve, I plan to learn new music on the piano; even if it is really challenging. Next year I plan to see my youngest child graduate from high school and go to college. He will leave for his mission in the year thereafter. I plan to be there when he speaks in church and then get on the plane. Two years after that, I plan to be at the airport when he returns. Within the next five years, I will save the money and make arrangements to go on a cruise with Doug. (The honeymoon we never had). He finally has agreed to go with me. I also plan to convince Doug to fly to Salt Lake for a General Conference. There will be more baptisms of grandchildren. For almost 34 years, Doug and I have planned to serve a mission together, post retirement. That will likely be 10-15 years from now. I still plan to have this amazing experience with my husband, the same as my parents had, twice. I have been encouraged and inspired through 8 words from a popular Christmas song. I really am going to face, unafraid, all these plans that I have made. 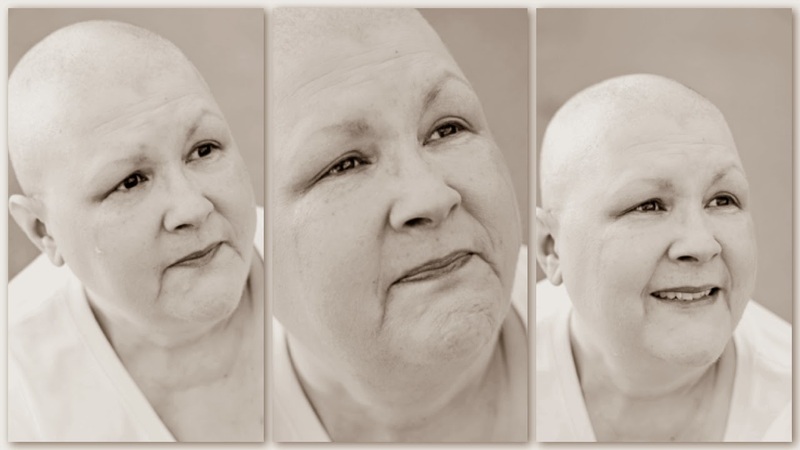 On September 29, 2009, I received my diagnosis of breast cancer. 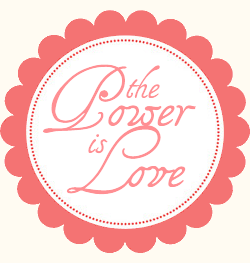 I am writing about my experience with a focus on how love is the power that helps us overcome our trials. The greatest love is the love of our Heavenly Father and His Son, Jesus Christ, who offers to bear our burdens for us if we will turn our will over to Him. 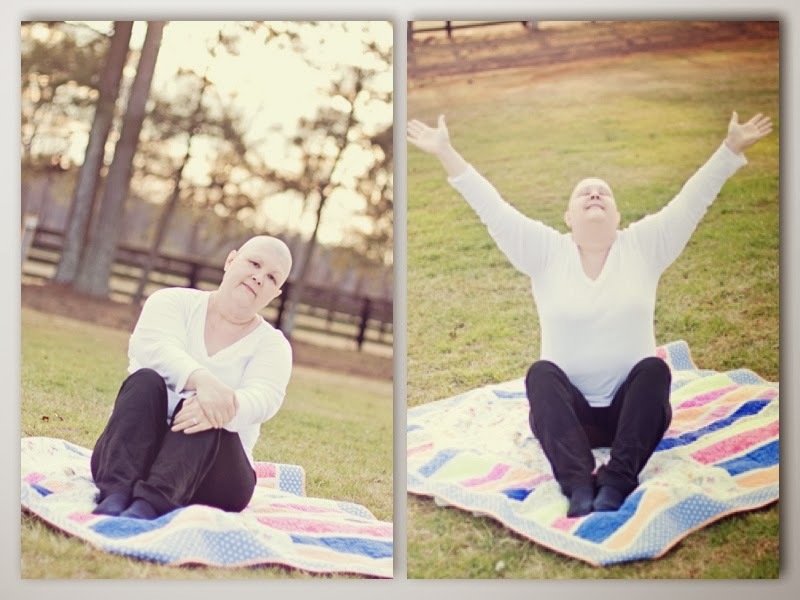 On July 26, 2013, I was diagnosed with what we now know is Advanced Stage Primary Ovarian Cancer. I am trying to use what I learned with Breast Cancer to help me have increased faith and hope that a miracle really is possible.